All monkey species will catch and transmit human diseases just like small children. You do not have to buy a permit for a pet monkey in Tennessee, but you will be legally responsible for any damage caused by the monkey. Don't buy a monkey in Tennessee and then travel back to your home state. You are legally responsible for knowing if it is legal to own a monkey where you live--not where you buy the monkey. Don't buy a monkey imported from another country to Tennesse. That's illegal (42CFR71.53 of Federal quarantine regulations). Inspect the monkey before you buy it. Never buy a monkey sight unseen. The average price of a pet monkey is in the thousands of dollars. In order to get experience in caring for monkeys, volunteer at a monkey or primate rescue center. You'll see what you're getting yourself in for. Tennessee is one of the few states in America where owning a pet monkey is legal. However, owning a baboon or an ape (that doesn't have a tail) is illegal. Monkeys make horrible pets--they're undisciplined, loud and even dangerous--and so are abandoned. Many people who own monkeys as pets are animal rescue volunteers and workers who have to legally own the monkey before they can rescue them. Buying a monkey in Tennesse is still legal, although the ethics of such a practice are questionable. In order to rescue a pet monkey, even animal rescue workers resort to buying them. Find a veterinarian who has treated pet monkeys or other primates before. Pet monkeys will get sick and injured. You also will be legally responsible for keeping your pet monkey healthy. Get your home set up for a pet monkey to live in. Make it as if a toddler is moving in. You have to have past experience taking care of monkeys before you can bring one home. 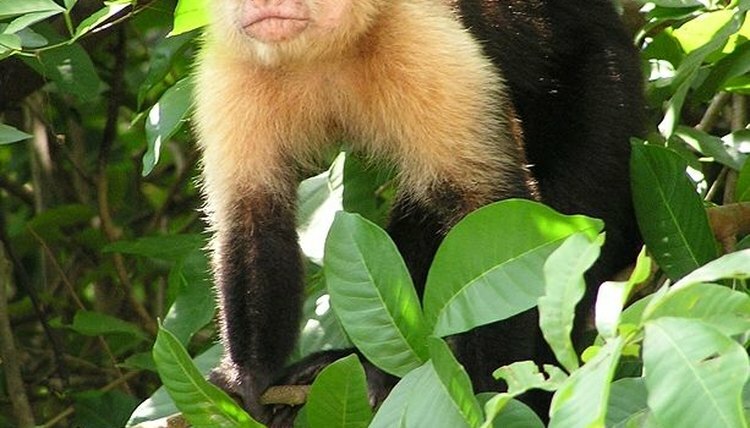 Monkeys are too dangerous and fragile to get one on a whim. Go online to find local classifieds selling monkeys or look at the classifieds in the local Tennessee papers. Buying monkeys is a private deal, as they are largely no longer sold in Tennessee pet stores. Only a very few stores will sell them. Check out the classifieds of some national exotic pet magazines (such as Critters USA), which often contain advertisements for pet monkeys and other exotic pets. Inspect the monkey before you buy it. Never buy a monkey sight unseen.The average price for a pet monkey is in the thousands of dollars.